"These are fine, important poems that bear witness to why war is madness. As Buyert's speaker says in the title poem, 'I saw too much'". 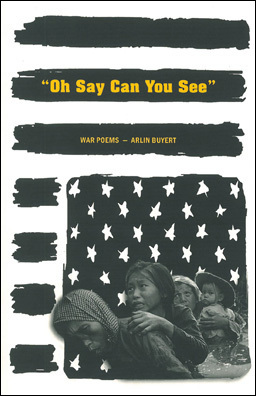 Arlin’s latest book of poetry “Oh Say Can You See” -War Poems, is out and on the shelves. It is available online at AbeBooks.com and Amazon.com. It also can be purchased at Prospero’s in Kansas City, The Raven in Lawrence and The Book Juggler bookstore in Memphis, TN as well as the Macalester College Book Store in St. Paul, Minnesota.